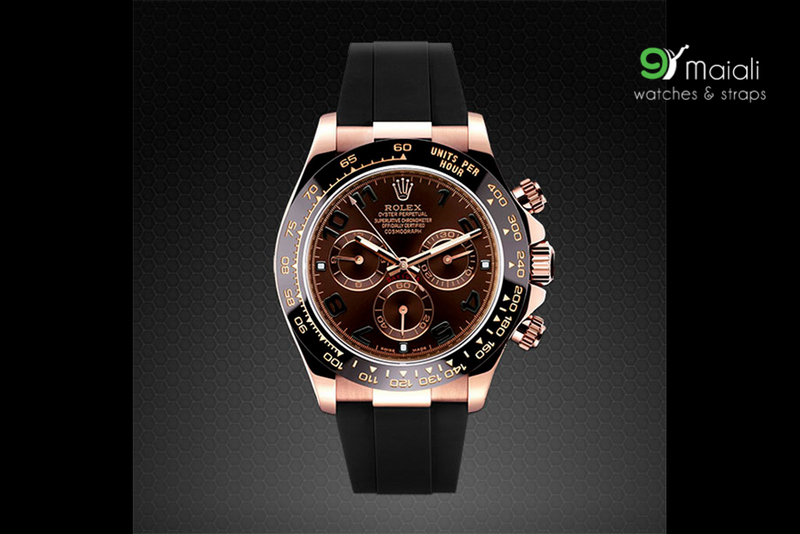 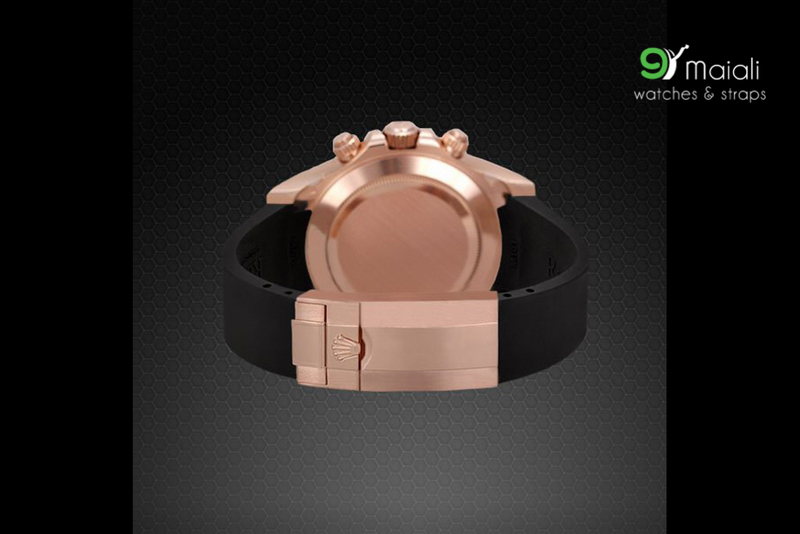 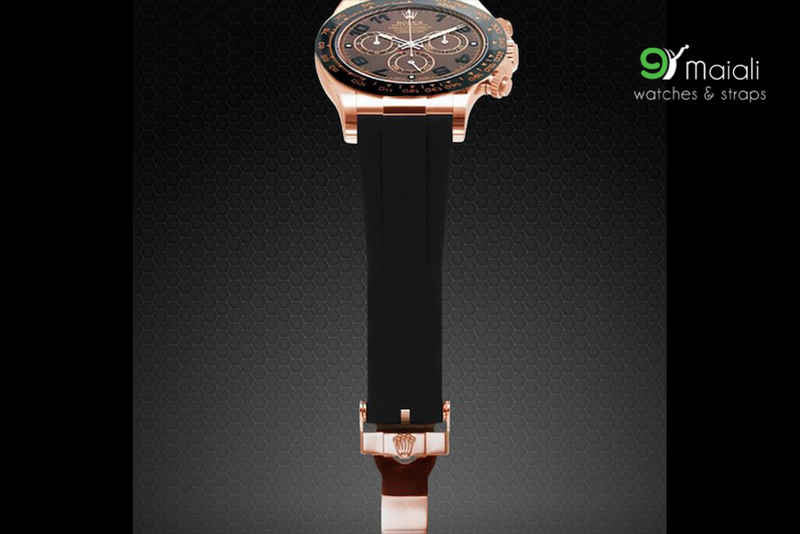 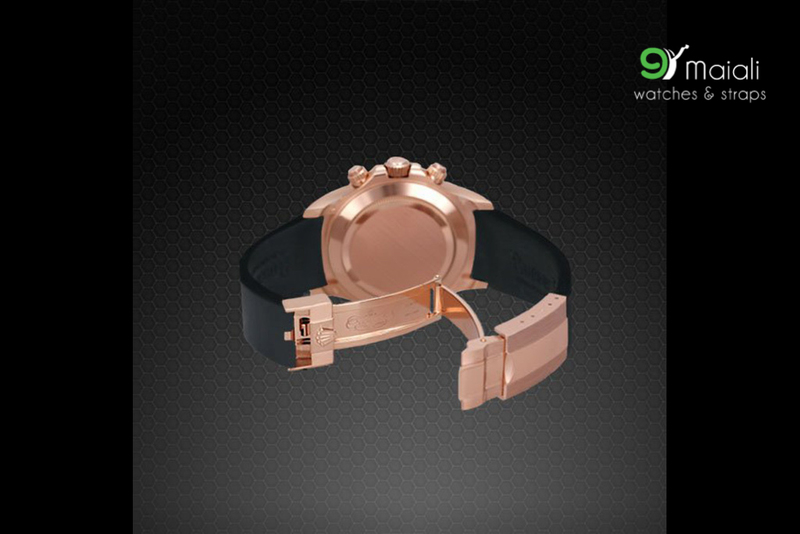 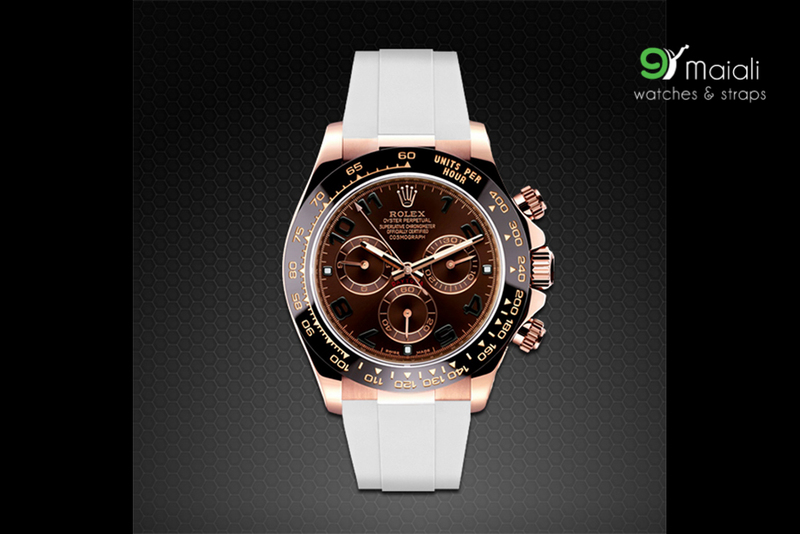 Vulcanized Rubber strap engineered to fit Rolex Daytona on Strap rose gold case and deployant buckle*. (Rolex Movement ONLY.) 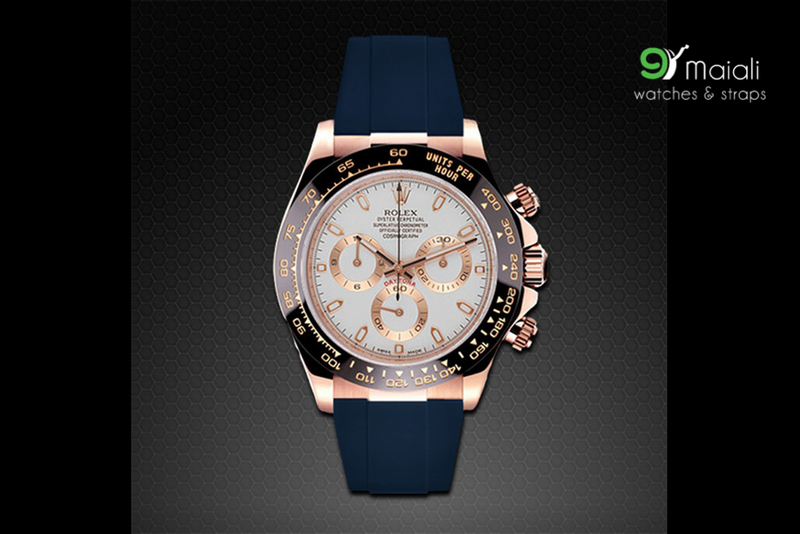 Note: This product is not compatible with the Daytona that comes on an Oyster bracelet, which is a different model. 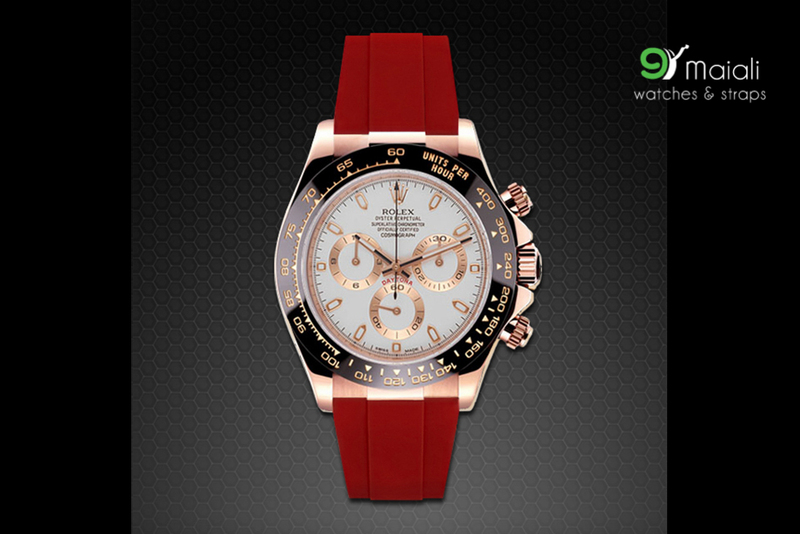 - Made in Switzerland of pure vulcanized rubber. 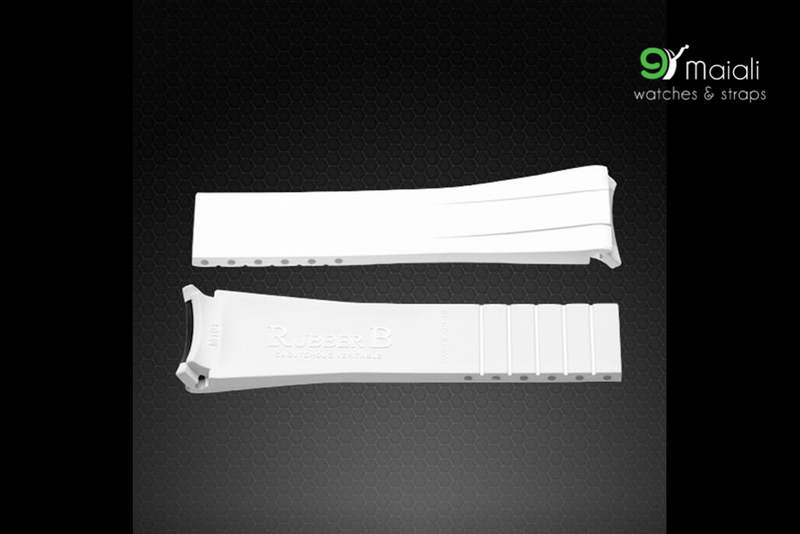 No coatings, blends or bonding.